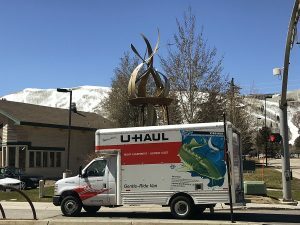 Marc Estabrook three years ago left a leadership position in Mountainlands Community Housing Trust, a Park City-based not-for-profit organization dedicated to work force housing issues. He served 11 years as a member of the board of trustees, including putting in time as the president, during a period of growth for the group. During his tenure on the board of trustees, Mountainlands Community Housing Trust built the Line Condominiums on Deer Valley Drive, which was an especially ambitious project for the organization, and acquired other units. 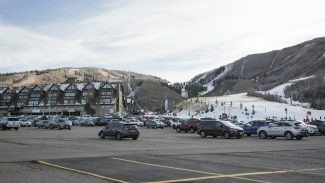 The acquisitions included the Parkside Condominiums in Park City and the Meadow View Apartments in Kamas. Mountainlands Community Housing Trust recently honored Estabrook with the Robert "Bob" Wells Award, given for Estabrook’s longtime service. 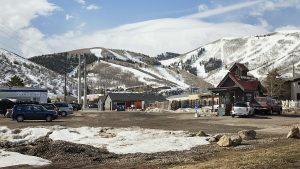 The award is named after a Deer Valley Resort executive who is the president of the organization’s board of trustees and was one of the founders of Mountainlands Community Housing Trust in the 1990s. Estabrook, a Jeremy Ranch resident, is the second person to receive the award, following Wells himself. Estabrook said Mountainlands Community Housing Trust has expanded the work force housing units available in the area. That has been a goal of many, including City Hall and County Courthouse officials, as a means to ensure an economically diverse community and reduce commuter traffic. "There’s more people able to live in a community rather than drive in from areas that are further out," Estabrook said. He also said Mountainlands Community Housing Trust has been a "voice for families in need of housing." Estabrook since his departure from the board of trustees occasionally assists the organization, such as providing photography services. One of the notable events during his time on the board of trustees was the hiring of Scott Loomis, who remains the executive director. "Coming from Scott Loomis and Bob Wells, it means a lot to me," Estabrook said about the honor. In a statement released by Mountainlands Community Housing Trust, Wells praised Estabrook’s time with the group. "Marc saw MCHT through periods of financial struggles to a financially sound organization. His longtime service to the organization is greatly appreciated," Wells said in the statement.